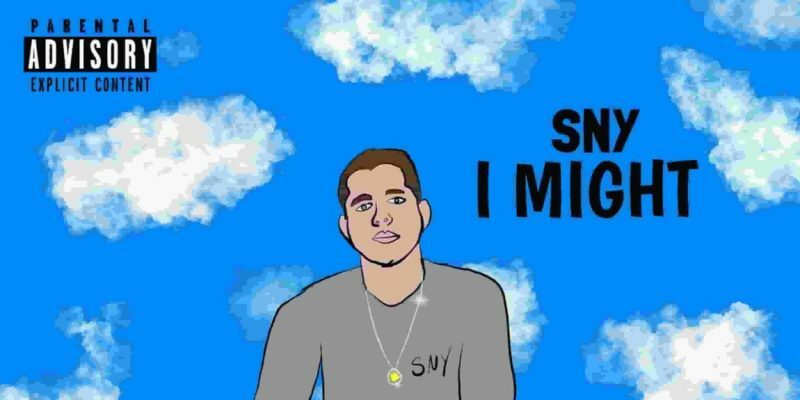 SNY throws out a party anthem for the hip hop world with this latest single. The backdrop brings together lightly intense strings and a more modern trap beat to build something softly uplifting. The vocal rhythm throughout the hook feels familiar alongside of this, simple repetition and auto-tune mark the sound of the moment well. In terms of looking for something with a good groove, easy to vibe to and fairly easy to recognise – everything about this has been done well. SNY encourages the good times by showcasing that lifestyle and those dreams throughout his verses and indeed in the accompanying video. The track has a smooth and colourful finish about it that lets it just work. You can hear this coming through on mainstream radio and the concept is one that supports a belief in better things or that greatness is possible. At its core, this is a track to turn up loud as the weekend kicks in. SNY is paving his way through the music world by fusing elements of hip hop and dance-pop, among other snippets of influence. These creative edges can be heard and appreciated with each new listen to this release, but to hear it playing in the background is equally effective in presenting a simple, fitting hit that’s likely to satisfy a contemporary audience. A little more context and character will likely emerge with future releases, even with his album The Distance Between Dreams. This is merely the good vibes track, there’s plenty more to come, and with each new piece his leading voice and style grow more familiar and more characterful. SNY shows no signs of slowing down, and his music seeks to push for the same sort of belief within the listener. Stream the music on Spotify. Visit SNY’s Website for more information.